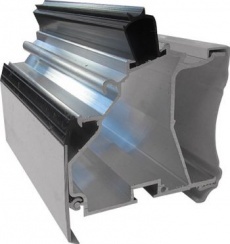 Varico Ltd are nationwide stockists and supplier of Self Support Glazing Bars, Eaves Beams & Wall Plates. 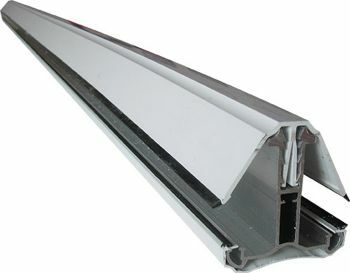 Ideal for small lean to conservatory roofs. Available in White or Brown our bars will accept 16mm, 25mm or 35mm polycarbonate. Based in Walsall (Near Birmingham) our central distribution allows easy quick dispatch nationwide in the UK. When you want to erect or replace a small lean to canopy, carport, or conservatory roof, self supported glazing bars bought from our stock at Varico can come in very useful. These bars are so-called as, when used to secure 16mm, 25mm, or 35mm polycarbonate sheets, there is no necessity of leaving a rafter underneath them. 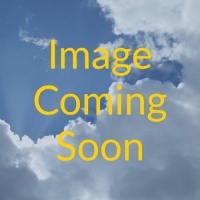 However, there remain loading specifications to consider. As there are limitations to these bars, understand the maximum sheet widths that they can take before you make an order for any of them. If you are uncertain how to safely install a self supported roof, please contact us for details. An installation involving self supported glazing bars should really be carried out by an experienced tradesperson or DIY expert. The choice of self supported glazing bars on offer here at Varico is broad. You can order these bars in white or brown before they are dispatched from our base in Walsall. We can send items quickly from this West Midlands industrial town which is 8 miles north-west of Birmingham. 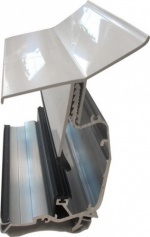 Our self supported glazing bars can be used alongside our wall plate and eaves beam. They can also be bought in a variety of widths, though a bar's maximum projection is 4 metres, while the maximum polycarbonate width a bar can support is 1,000mm. Our self supported glazing bars are also, with the exception of our 2,500mm bar, compatible with 24mm sealed units.